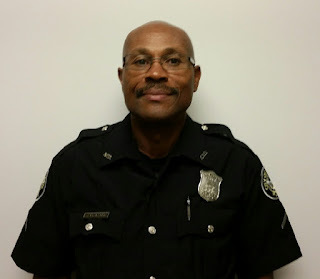 Fight Back Against Crime (FBAC) Virginia Highland: Welcome SPO Anthony Levester! Senior Patrol Officer Anthony Levester is one of three new officers joining the FBAC team this month. He tells us he chose this work and has stuck with it for twenty-three years “for the self-reward of doing the job”. Growing up in the small town of Monticello, Georgia and surrounded by the Oconee National Forest, you might not expect to find Anthony working in the big city. But the Jasper County school system has produced a few others who made it to the big time, like Trisha Yearwood along with at least a couple of pro football players. If you were to travel to Monticello, about 60 miles southeast of Atlanta, you might recognize scenes from the classic movie, “My Cousin Vinny” – especially the historic courthouse. Today SPO Levester makes his home in Lithonia with his wife and two children, and if he wasn’t doing this, he just might be an Auto Mechanic. Want to talk cars with him? Look for him on patrol this month around Virginia-Highland and give him a big welcome and thanks for helping to keep us safe.